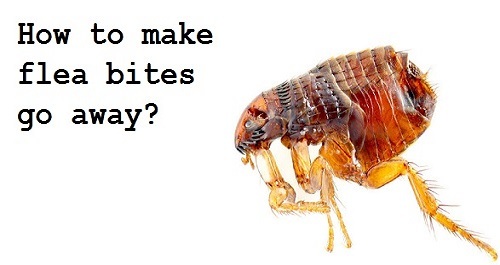 Flea bites are one of the most common insect bites (see our article on insect bites for more information on this topic). Fleas have been plaguing humans and animals ever since the dawn of history. Fleas are usually specific to a certain animal; there are cat fleas, dog fleas, rat fleas, and even human fleas. Flea bites should be taken seriously. The bubonic plague, famously known as the black death of the middle ages, was caused by a micro-organism which was transmitted by the bite of the flea. The bubonic plague killed millions of people in the years that it ravaged Europe. Flea bites are caused by fleas, small wingless insects which jump from host to host. They live parasitic lives whereby they need a live host (for example, a rat, cat, dog or human) to survive. Fleas are a different organism altogether from sand fleas. Fleas spread easily because they are agile jumpers which can jump many, many times their own body length. To put it into context, if they were human size, they could jump the whole length of a football field in just one leap. Attempting to kill a flea by squashing it is not usually effective due to their laterally compressed bodies, which can withstand intense pressure, making them very difficult to kill in this way. Their hardy bodies make mechanical means of eradication seemingly hopeless. The best way to kill them is either by chemical means or by drowning them in soapy water. The best way to prevent bites from fleas is, of course, to get rid of any fleas altogether. The following are the best ways to treat a home infested with fleas. 1. Sprinkle the mixture all over the house and allow it to remain undisturbed for at least 24 hours. 2. Thoroughly vacuum afterwards to avoid inhaling the dust mixture. For clothes and bedding, wash after the 24 hour period is up. Using a mixture of water and detergent – This method kills fleas because they are attracted to the scent, jump into the mixture, and drown in it. 1. Concoct a 50-50 mixture of water and laundry detergent. 2. Place the mixture in a shallow bowl, preferably with a low-lying source of light to attract the fleas. Using a flea trap – a flea trap is a source of low light which kills the fleas as they jump into it. Using Salt – salt is a desiccant; it zaps moisture. If spread on the carpet, it makes the carpet an unattractive environment for the flea; in addition the salt can injure the flea, making it bleed to death. Vacuuming of the salt-treated area should be done after a week. Since human fleas can also live for a while on pets, and pet fleas can also bite humans, getting rid of fleas from pets is very important in the prevention of flea bites. The following are some ways of eradicating fleas from pets:Regular bathing of pets with special soap – this simple measure will greatly help in the eradication of fleas. It is important to use the soap according to the manufacturer’s instructions for the treatment to be effective. Using Vaseline – Vaseline is an oily substance that is non-toxic and is fine for your pet’s skin. However, Vaseline is deadly for fleas. Once fleas jump on an area saturated with Vaseline, they get stuck, can’t jump away, and will die either due to starvation, or suffocation. The best area to rub some Vaseline is on the neck of your pet. This also prevents the pet from licking the Vaseline off. Using Flea Pet Powders – Flea powders for pets kill fleas by poisoning them. Although very effective, the powder can be easily shaken off by the pet and requires frequent reapplication. 2. Scratching should be avoided. A soothing ointment may be applied if necessary. 3. Observe for further reaction. The bite should not get any larger and should heal in a matter of days. Any symptoms of allergic reaction should be brought to the attention of a medical professional. Flea bites can be simply a mild nuisance, but they can also represent a health hazard, so they should be taken seriously. Even a bite from a flea which does not carry disease can be irritating and uncomfortable. As with all bites, the best course of action is to try and avoid being bitten in the first place. If bitten, treat the flea bite as a typical skin irritation unless more severe symptoms develop.